A new shower meant for sports-types-on-the-go lets users scrub away shame. 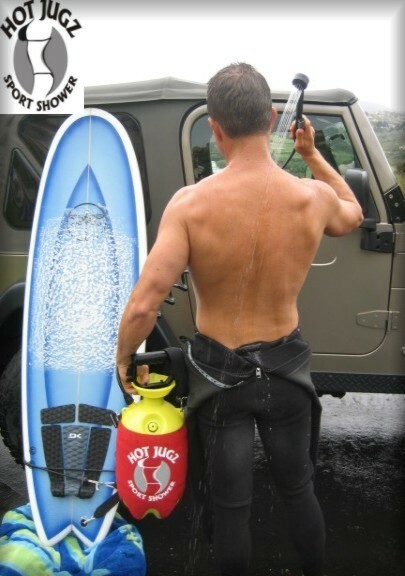 Aptly named, Hot Jugz (I kid you not, I couldn't even come up with that one), the mobile shower makes you wonder 'who are the ad wizards who came up with that?'. How does it work? Glad you asked. You pump it 20 times to heat up the 'jugz'-o-water for 16 minutes of pleasure. This task is ergonomically designed, as it should come natural to most men. Unfortunately, most men complained of pumping and only lasting a minute.